Timothée Chaillou : When it comes to painting a picture using a different color from the one you intended, is the result as valid as if it had been painted with the color you wanted? John M Armleder: Perhaps we should put it the other way round. In my opinion, it’s the viewer who produces a work of art by using a fund of information he or she has received or acquired. It’s obvious that a painting by Fra Angelico will not be viewed today in the same way as when it was painted. It’s something created the very moment you start looking at it. Once we have become aware of this as artists, we know people won’t see the same things we did while we were painting. Similarly, we know that the impulses we had while producing the painting came from things outside ourselves. The absolute art of the creator does not exist in practice at all. I immediately realized that others would do the same as me, at the same time, in a different form or medium: we are all equal at the end of the day. But if this idea is taken too literally nothing gets done! Timothée Chaillou : So you forget about blue and use green because that’s what’s available and – from the depths of our personal, subjective, selective, forgetful yet extensive memory – you can nonetheless remember a work as being a different color from what it really was. 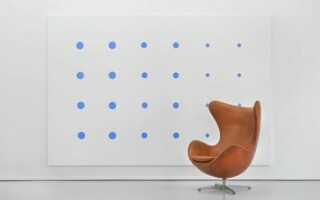 John M Armleder: Yes, but it would still be good to understand the need to produce this painting – whether blue or green. When I look back on my activities and my results, I don’t think they have any kind of absolute usefulness. But I realize that I have devoted my whole life to them – so there must be some sort of sufficiently strong obligation or force that incites me to do that. When we’re young we believe we can change the world, but when you get to my age you realize that the world changes of its own accord, without needing us. This probably implies some sort of responsibility. This implication is difficult to define but one consequence of being aware of this responsibility is doubtless that it incites us to act more than by merely producing an occasional painting. I’ve always thought that it would be better if I’d only ever produced one picture – but once there was a second one this became a lost cause and I might as well carry on. John M Armleder: I often wonder how his approach differs from mine, and vice versa. We’re quite close in some ways, but he has more of a serious side than I do. 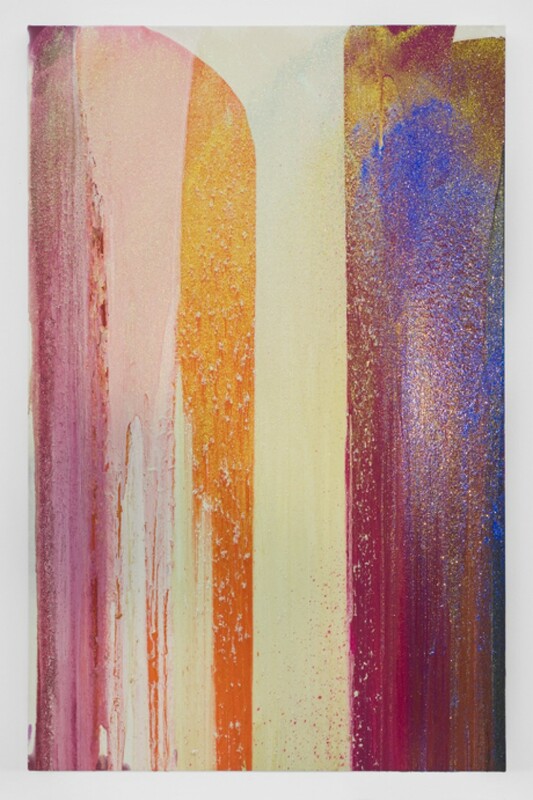 Timothée Chaillou : Are you OK with his idea of ‘failed’ paintings – leaving irregularities and color deposits clear to see and revealing how they were produced? John M Armleder:My conception of failure is far more romantic. He may lay claim to a certain type of failure but I doubt whether deep down he really believes in it. Timothée Chaillou : You have frequently expressed the desire to present your work ‘pretending it’s by someone else, by creating this kind of distance… I’ve always dreamed of producing works I don’t recognize.’ You borrowed this desire for non-recognition from Andy Warhol, who said ‘It would be great if so many people used screen-printing that it’s impossible to know whether it’s my picture or someone else’s.’ Bertrand Lavier once described your position as ‘incompatible with an artistic approach’ and a ‘masquerade’ – as ‘of course artists love recognition.’ How would you defend your approach? John M Armleder:Do I take some sly pleasure in not wanting my own work to be recognized? Is that honest or perverse? I don’t know. Maybe a bit of both, but there’s more to it than that. First of all, I don’t think my artistic approach is as original as all that. I’m wary of opposing the sort of remark an artist might make, along the lines of ‘So-and-so’s already done that’ or ‘That’s how so-and-so would do it.’ That’s not a valid way of judging things in my opinion, although it can be part of how we identify things. This concern for originality is totally dependent on the cultural context we’ve known since childhood. A concern for authenticity is part of our linguistic make-up. But in Japan, say, you could be shown a temple and told it was built 500 years ago even though it’s just been rebuilt: it is the concept that dates back centuries. It’s striking to see how our society focuses on an object’s material aspect. Even though Conceptual Art has made a breach in this approach, we remain committed to this incidental notion of authenticity. I realize why Bertrand Lavier is averse to my way of working.